We’re a gym where you walk out feeling better than when you walked in. Hi, my name is Aidan. 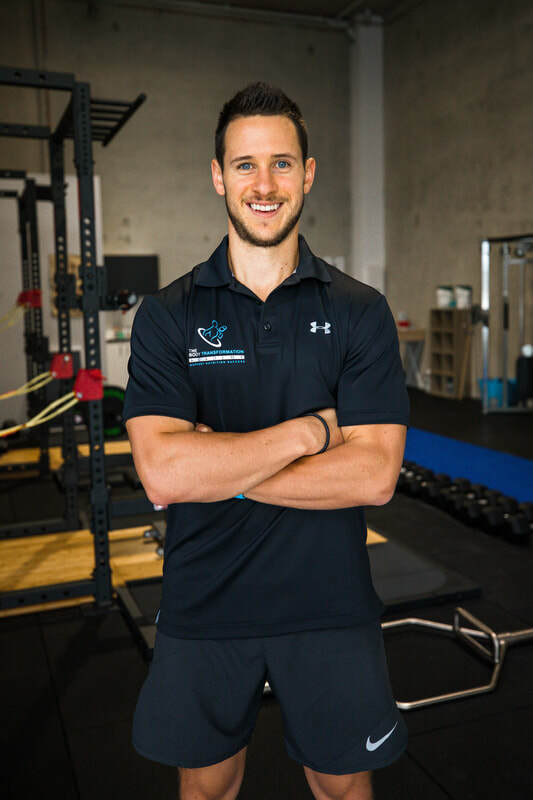 I'm a personal trainer in Belrose and I want to work with you and SHOW you that you can have the lifestyle you want to live while achieving the goals you set for yourself. Here, you'll have access to all of the tools you need to succeed; no fitness goal is out of reach. At The Body Transformation Academy, we develop coaching programs around your lifestyle. This will be the key to a sustainable, successful and healthy future. Whether you want to fit into your clothes better, build your strength and confidence - or anything in between; you can expect results and an education that will last a lifetime. How it all began. By Aidan D'Arcy. Let me paint you a picture. It's April 2011, I'm 18 and I've just been released from Huddersfield Town Football Club at the end of a two year scholarship. Up until this point, I had my heart set on becoming a professional footballer moving all the way from Sydney, Australia to pursue it. Prior to the release, I'd been recovering from an ankle injury which unfortunately had me out of action for six months. Whilst being injured, nutrition was not an area I focused on and hell, it was never an area I thought I needed to worry about. I was fed by the club, I was fed by my parents, I was spoilt and I had it easy. I became heavier than I'd ever been (10kg) to be exact and to be honest, I really didn't care. I didn't want to admit it, but I was unhappy in my own skin. If I wanted to change, it was up to me. I still look back at the photo to this day (which I'll post) and use it to see how far I've come. For change to occur, sometimes we need our own "epiphany" or a life event that propels us into action. I'm a firm believer that every thing happens for a reason and when I reflect on what's led me up until this point, you'll begin to believe the same with your life. After my epiphany, I decided to take more focus in the gym. I started lifting weights and I started researching more into nutrition. My UK visa had come to an end. I was now at a point where I had no choice but to pack up and move back to Australia, leaving behind my football career. I knew deep down I had to do something and one day, it clicked. I sat down and really thought about my passion. What got me out of bed every day? What was I really passionate about? I thought about my drive toward goals. I thought about the discipline and the sacrifice I'd been through to get that scholarship in the UK. I knew I needed more education. I knew sport and being active was my passion so I decided to become qualified in personal training. Why personal training you might ask? I'll be honest with you. When you ask most personal trainers why they became one they'll say "because I want to change lives". That wasn't why I went for the course. I went for it because I needed to do something and that seemed like the next best thing for me. However, when I say things happen for a reason, this is where my life changed. This is where I grew up, ten fold. This is the start of how I got to where I am today. Fast forward eight weeks later, on the 1st April 2012, I was a qualified personal trainer. I was ready to train human beings to a healthier lifestyle. It's crazy to think about how powerful that is. I started realising the gym was a great place for me to use my drive and discipline to get what I wanted. I realised that for so long, my dreams and goals were heavily determined by external sources. Things out of my control. Coach's decisions, injuries, visas, team mates, so many things that no matter how hard I worked, didn't always go my way. I realised that all my energy can be put into situations I have control of. ​Type 2 diabetes and my test results are all healthy. ​You’ve changed my life forever”. Just like that, I was hooked. My first client told me I changed her life forever. That’s a feeling I’ll never forget. Some people say you find your passion. I agree. But I also believe your passion finds you. I didn’t become a personal trainer because I wanted to “change lives” which you hear many coaches say these days. I literally did it because I ‘needed something to do’. Sounds contradicting right? Believe me, when I impacted my first client in the way I did, I was ignited. My passion, my energy, those feelings, I wanted more. I guess you could say this was what sparked my ‘why’ and why I continued to get up at 4am every morning to train clients. I could see the impact of living a healthy life had on someone. I already knew the feeling of what it was like to achieve a goal you never thought possible, so if I could help others do the same, that’s something worth getting up in a morning for. The longer I hung around the fitness industry and the more people I spoke to, the more I realised this industry is broken. The media tells you carbs are good one day, then bad the next. One day eggs are good for you, the next they pile on the cholesterol. So much confusion and food anxiety. The more clients I worked with, the more holes I found in information. I was fed up. Not with my clients, but at the companies pushing fad diets and gimmicks all in the name of changing a number on the scales. Don’t get me wrong, I’ve suffered through disordered eating and spending nights bingeing on whole pizzas and cookies. I’ve spent hours looking at myself in the mirror and hating what I see. I’ve watched the scales creep up 16kg and feel my clothes get tighter and tighter before jumping on another fad diet to shed those unwanted kilos. 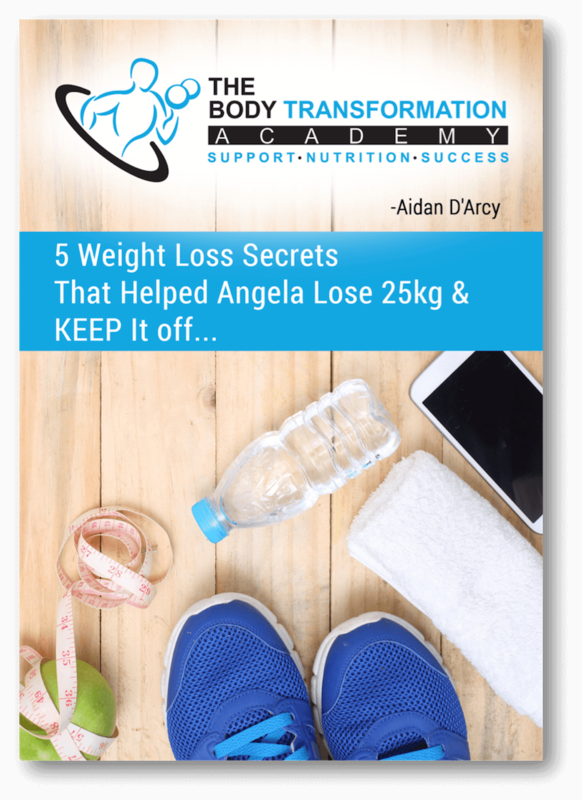 I’ve been puffed walking up stairs, hated my picture being taken and paid lots of money to personal trainers only to find my program had been copied and pasted from a free website online. This industry has knocked me around but I’ve also heard similar stories from clients. I wanted to help more people and I was sick of hearing people try and fail over and over again. It shouldn’t be that way and I’m on a mission to change it. Help working professionals lose fat for the last time by building strong relationships around food and exercise. Look better, feel awesome and move without pain. We make sure you achieve ALL 3. Not one and not the other. All of them. ​I had coached many clients into losing 20-30kgs and by now I had lost 10kg of fat and gained 5kg of muscle. I was really getting into training and helping those around me feel better about themselves too! I've now competed in 5 x bodybuilding shows – placing first and gaining two third places. These required intense periods of dieting and wild swings in my body weight. Its safe to say ive gained and lost 12kg 4 x times! This built body image issues and eating disorders. I realised what I was doing wasn't sustainable nor healthy. I'm proud to say ive now built sustainable habits around my binge eating. I want to help you do the same – build sustainable habits so it'll be the last time you have to lose body fat. Since beginning in Forestville, Sydney as D'Arcy Health Coaching in a small studio setting, over the past 12 months we've transformed the lives (and bodies) of many individuals. We've become known as the best body transformation studio in Forestville and as a result, we've had to upgrade our size and move into a larger space in Belrose, no more than 12 minutes drive from where we were. Along with this, we've upgraded the face of our brand to reflect the amazing results we've achieved for our clients and are now known as The Body Transformation Academy. We're excited to be embarking on the next phase of our journey and truly cannot wait to continue our mission on being the best body transformation studio on the Northern Beaches of Sydney. Will you be our next transformation story?